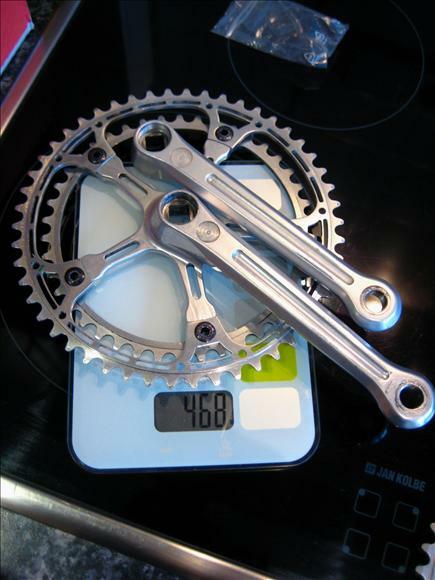 These are the lightest cranks of that time I ever had in hands. Came with rather heavy and ugly drilled chain rings that I think were not originally screwed to that crankset. Was sold to me as an F.T. Bologna. In the meantime I found two other cranksets exactly the same marked as ALES (Applizioni Leghe Speciali). Those also look very similar to Gian Robert Competition.